"This recipe was given to me by my aunt. 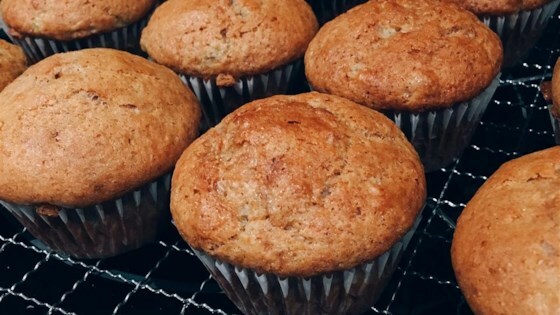 Everyone loves these moist muffins!" Stir the flour, baking soda, baking powder, and sugar together in a bowl. Add the bananas, mayonnaise, and chocolate chips; stir until well combined. Pour into prepared muffin cups to about 3/4 full. there is no liquid in this recipe therefore it was floury and wouldn't mix in - I had to add 1 cup of milk. I did not care for this recipe at all.